Super simple and so yum! Combine the butter, wine, and confectioners sugar in a medium saucepan. Gently bring to a boil, stirring occasionally, over medium-high heat. 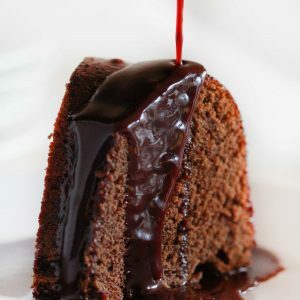 Remove cheesecloth and bits of chocolate and pour strained glaze over chocolate cake.